If you live and work in Gauteng, you know how important it is to have a car. If you don’t have a car, finding vehicle finance in Gauteng will make your life a lot easier. Without a car, you simply can’t be productive in Gauteng. Not having a car is a serious barrier to your success because without a car you will waste hours of everyday using public transport that will inevitably let you down. Despite the efficient Gautrain, public transport in Gauteng is still a problem, with buses often running late, or not operating at all when there are strikes. Relying on other people for lifts can also be complicated because it leaves you at the mercy of someone else’s schedule. The truth is, you need a car so that you can get to work and back and carry out your own admin, like shopping and fetching your children from school. There may be many reasons why you do not have a car, but if you are having trouble finding vehicle finance in Gauteng, your days without a car may be numbered. Maybe you have been blacklisted and are tired of the humiliation of being turned down for vehicle finance. 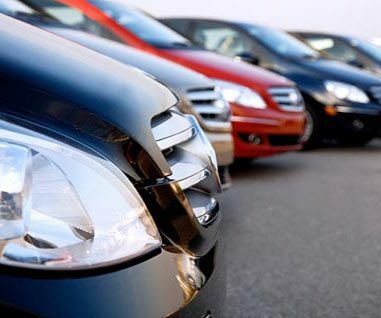 You might simply not meet the criteria required by many financial institutions that provide vehicle finance. If this is the case, why not apply for vehicle finance from a car dealer that doesn’t perform credit checks? One of the ways that you can finance your car in Gauteng is by renting it from Earn-a-car. Earn-a-car offers car rentals from as low as R2 400 and pays you back for every month you rent the car. After a period of renting a car, you can use the money paid back to you to buy a car of your own. Contact Earn-a-car to find out how we can help you get vehicle finance in Gauteng. Come see Earn-a-car today, and drive your car tomorrow.